Tiffin roots out the truth behind the scripted words that you have probably never read. Believe me, the actual words are much more interesting than the quotes you remember from films. When you read it, you realize the skill, beauty and impact of those words. So, if you want to get the real thing, to find out what was really written and said, read this. I would not want to be a real writer. And I don’t really want to be a writer. I think it must be a dreadful life. (Do you know how many writers go mad? An unusually high percentage, and for good reason – that old blank page and writer’s block, for one.) I have always imagined that writing a book must be a sort of torture. You spill your guts in the hope of getting something back from a heartless and uncaring and faceless public. I’ve just finished George Tiffin’s All the Best Lines, an excellent book on screen-writers and their best writing, and I thought: Imagine that you wrote this screenplay, the greatest achievement of your life, and no-one knows you wrote it. They know the movie’s name, and the actors’ names, but not yours. Imagine how awful that must be. Seriously, how many of you know the names of the writers of your favourite movies? The Great Gatsby? (the screenplay, not the novel) X-Men? Sherlock Holmes? The Hateful Eight? Of course these lines were delivered with a real sense of gravitas and menace by splendid actor Mark Strong. But regardless of how memorable the moment in the film, most people do not know who wrote those words and turned Sir Arthur Conan Doyle’s words into a screenplay. Answer: no less than 4 people: Michael Robert Johnson (screenplay), Anthony Peckham (screenplay); Simon Kinberg (screenplay); Lionel Wigram (screen story) and Michael Robert Johnson (screen story). Which one of them wrote those particular lines? No idea. 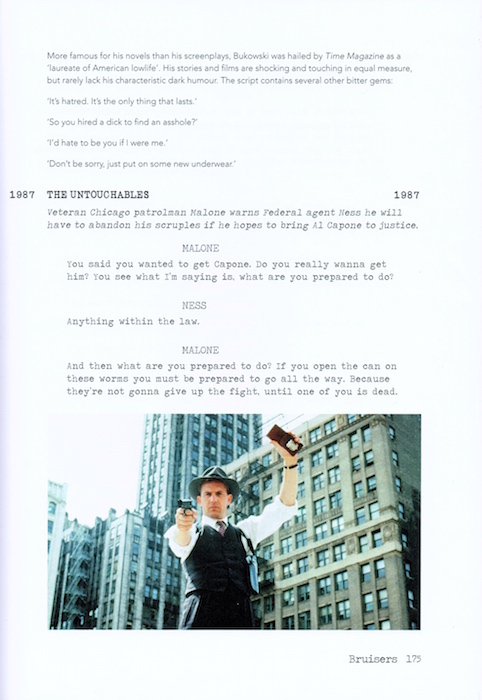 As we all know, the best quotes (or juicy sound bites) often come from the movies or then, their screenplays. Which leads us to the need for this book: Misquotes and misattributions. It’s even more confusing if a misquote is originally a malapropism, like some Berra-sisms and Goldwynisms. People do this all the time – and these slip-ups live on the internet forever more. And people love appropriating quotes for just about anything – as if the fame of the source will somehow rub off on their words. On the Charlie Rose show on 19 Jan 2015, speaking about the global economy to Sharmin Mossavar-Rahmani, Chief Investment Officer of Goldman-Sachs, Charlie quoted Yogi Berra from the Goldman Sachs report, who was as famous for his baseball achievements as for his Berra-isms. Berra-isms are colloquial expressions by Yogi Berra that lack logic, or have a kind of backwards logic, despite being a malapropism. Many Berra-isms are just attributed to Berra, even if he never actually said them. As he so perfectly put it: “I never said most of the things I said”. Berra’s quote “It ain’t over till it’s over” was used in the report. I thought it was unusual for such a high profile company as Goldman Sachs to reference a Berra-ism in a report, but their Private Wealth Management report has a baseball theme: 2016 Outlook: The Last Innings. Goldman Sachs got the quote and the source right, though maybe Yogi Berra never actually said it. But I think this instance is an exception. People simply do not go back to the source and the original words or occasion, even when it is actually easy to do these days. They love the wrong words they have in their memories – like “Play it again, Sam.” Nope! “The rumours of my death have been greatly exaggerated”? Also – nope! Well, here’s another fine mess you’ve gotten me into. I love the smell of napalm in the morning. It smells like victory! This book is a huge source of quotes, with hundreds of lines, as many explanations and background details, and quotes taken back to source. Tiffin does not only mention the one-liners that became famous, he quotes less-known, but more interesting lines from the same movies. He pulls more delectable and entertaining quotes than you knew existed, corrects misquotes and misattributions, and explains the process of writing screenplays and how those quotes were created. 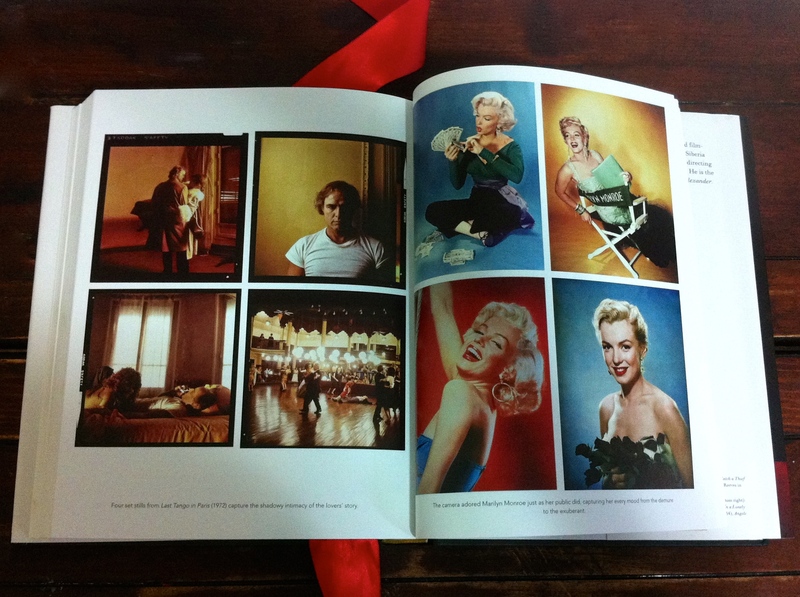 The book can be called a “coffee-table book” because it is thick, beautifully designed, colourful and lavishly printed. It looks and feels as glamorous as its contents, but every line is thoroughly explained and cited. It’s a serious reference work. And the research must’ve been a formidable job, considering the difficulties with identifying the authors of a script – or specific lines, even for an industry insider like Tiffin. Tiffin explains that this is because in many cases films have multiple contributors for story, for dialogue, for individual scenes of even in some cases to tailor lines for a specific actor. And some actors are co-creators of their script, like Samuel L. Jackson, with Quentin Tarantino – as I noticed in a Charlie Rose interview. Though, in the section It’s all there on the page (pp.119-120), Tiffin quotes many actors who definitely do not want to mess with their scripts, and some that are ambivalent about the perfection of scripts. Jackson, unusually, can alter Tarantino’s script, due to their close relationship. George Tiffin began making films at Oxford University and quickly branched out into writing and cinematography. In 1997 he wrote and directed SOUP, starring Alan Howard, Trevor Eve and Allan Corduner. Since then he has directed award-winning commercials for Sony Ericsson, Audi and Sony as well as music videos for Morrissey and the Britten Quartet. He writes both original and adapted TV drama and feature films. His novel Mercy Alexander was published in 2001 by Picador. In Oct. 2015, Tiffin’s non-fiction A Star is Born: The Moment an Actress becomes an Icon was published by Head of Zeus. His bio on IMDB is here.